Sign up for the Innovation Expo 2018 on the event page. We work closely together with other events and organisations. Innovation Expo (IE2018) is a full sensory experience of the most spectacular innovations. It’s all about fresh encounters and closing concrete deals and agreements. 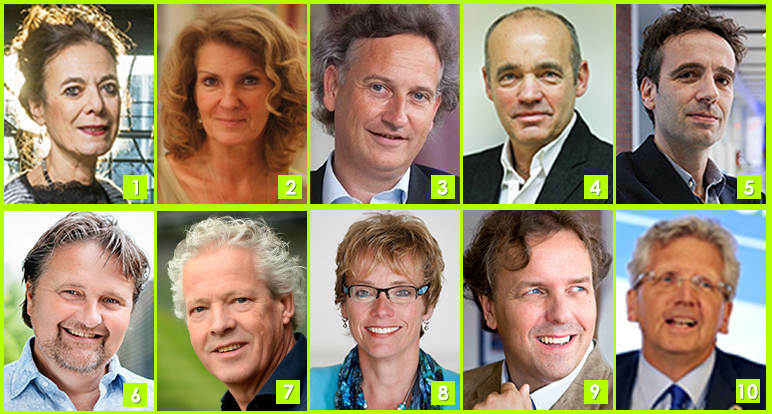 A day in which all participants from the Netherlands and abroad are jointly dedicated to accelerating innovations. Our approach to social challenges in the Netherlands follows the knowledge and innovation agendas and the Dutch National Science agenda. At a European level challenges are featured in the Horizon 2020 agenda. Globally, we have a shared language around the Sustainable Development Goals. The objectives and agendas make challenges tangible. The challenges are complex and the solutions come from multiple sources. Innovation starts with smart people, wherever they may be: R&D departments at start-ups, businesses from small through to large, universities and research institutes. In a word – the innovators. These professionals often work together in national and international public-private alliances. The Dutch Top sectors are a good example. There are various phases in innovation. From initial idea to new product or service, poised for upscaling. It is a fact that the growth in radical innovations demands focus and input from a wide range of parties. 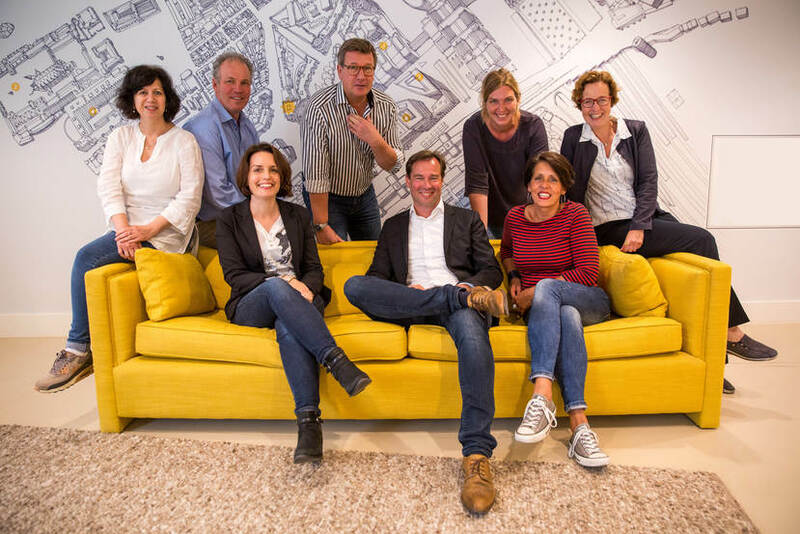 The Dutch are aware of the need for teamwork involving innovators, decision makers, policy makers and enablers – in short, an active innovation eco-system. Bringing Dutch solutions nearer is a fact. Prior to and after 4 October 2018 we will be working together with other events and organisations to jointly accelerate the most interesting innovations. This mutual process takes the Netherlands and the world a step further. After 4 October 2018 we will hand the relay baton on to Innovation Expo 2020. This will take our innovative tradition forward. The Innovation relay is a network, podium and process for innovation with a major bi-annual event - the Innovation Expo. 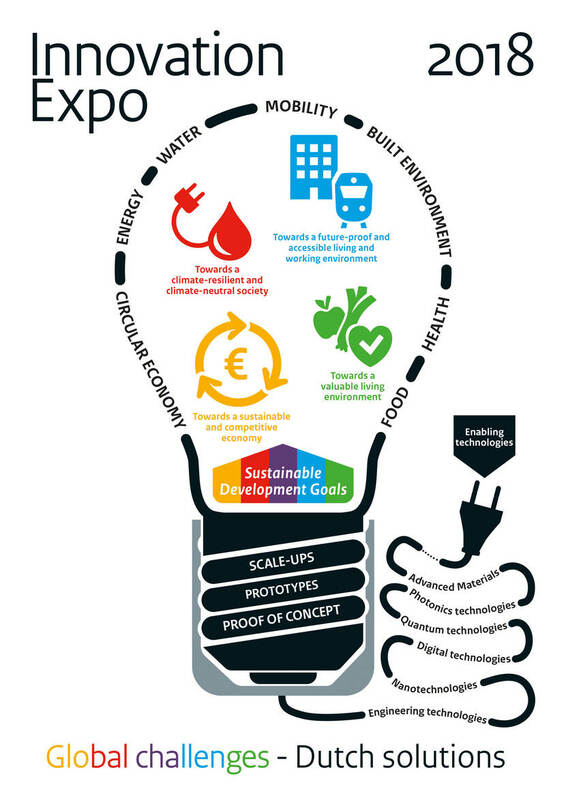 The 7th edition of the Innovation Expo (IE2018) is now due on 4 October 2018. The venue will be the RDM Onderzeebootloods (former submarine construction hall) and RDM Congress Centre in Rotterdam South. The IE2018 is a win-win situation all-round. You will meet other innovators as well as decision makers and enablers. This can lead to meaningful alliances. 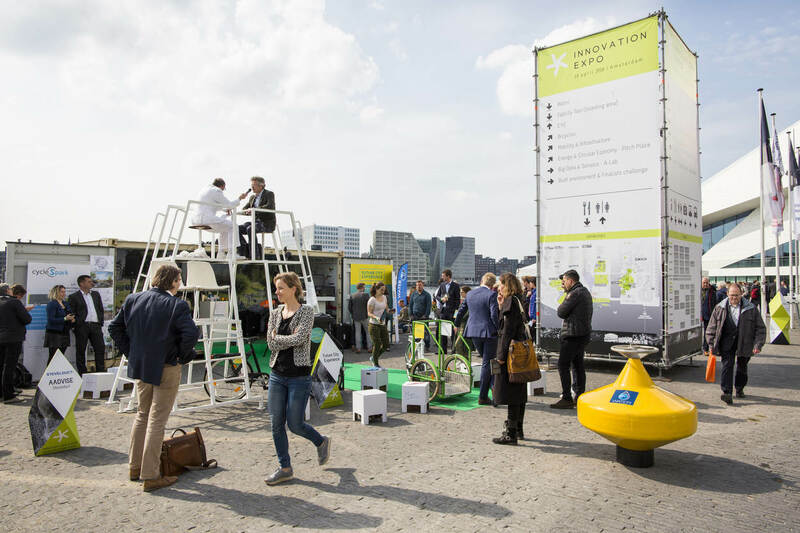 The IE2018 involves business activities that can take your innovation a step further and accelerate it in the Dutch context as the IE2018 is a showcase for the most exciting Dutch offerings. 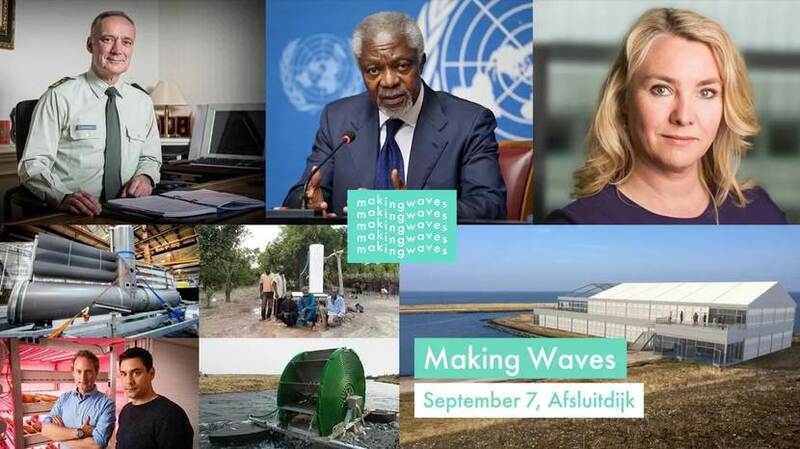 We show Dutch solutions for major social challenges. At the IE2018 we jointly and effectively set out the Dutch innovation eco-system! Contact us for more information on IE2018@minienm.nl.